Are you a disabled employee? If your employer is refusing to provide you with a reasonable accommodation for your disability, you might have grounds to take action against your employer. If you would like to learn more about the possibility of taking action against your employer for the failure to provide you with an accommodation, do not hesitate to seek legal assistance as soon as possible – with the employment experts at California Labor Law Employment Attorneys Group. If you would like to discuss your claim with our attorneys, do not hesitate to contact our law firm today. We are ready to represent you and fight for your rights in the workplace. Approximately 15% of the world’s population has some sort of disability. In the United States, less than 20% of the population is disabled. In the country, there are more than 128 million full-time employees and more than 27 million people are part-time employees. How many of these employees do you think are disabled in one way or another? According to statistics, more than 19% of all people with disabilities are employed. Without a doubt, some disabilities are severe and result in the inability to work. However, many people with disabilities can work efficiently with reasonable accommodation. Unfortunately, many employers refuse to provide disabled employees with reasonable accommodations. This results in employees being unable to perform their job duties – which could result in negative consequences, such as demotions and even terminations. Although some disabilities might not need any form of accommodation, there are many disabilities that require at least some changes in the workplace to ensure that a disabled employee can perform his or her job. In general, reasonable accommodations are required to enable employees to perform their essential job functions and to make it possible for disabled employees to have access to equal benefits/privileges of being employed. If you would like to learn more about the need for accommodations in the workplace, do not hesitate to seek legal assistance as soon as possible. Our lawyers are ready to provide you with all the information that you need. The Americans with Disabilities Act – prohibits the mistreatment and discrimination of disabled employees in the workplace, as well as requires employers to provide disabled employees with reasonable accommodations (federal). The Family Medical Leave Act – gives employees the right to time off from work to deal with any disability/medical condition without fear of losing their jobs for taking time off (federal). The Fair Employment and Housing Act – prohibits discrimination of disabled employees and requires employers to provide reasonable accommodations (state). The California Family Rights Act – gives employees the right to time off work to deal with disabilities without the fear of losing their jobs (state). The laws above protect employees on both the federal and state levels. If you would like to learn more about these laws, do not hesitate to seek legal assistance as soon as possible. The employment attorneys at our law firm are ready to evaluate your current situation and take action against your employer if necessary. What if an Employer Fails to Accommodate Disabled Employees? As mentioned above, employers have the duty to provide their disabled employees with reasonable accommodations to ensure that they can continue performing their job efficiently. However, employers are not required to provide their employees with reasonable accommodations if they can prove that doing so would cause undue hardship. When providing accommodations results in significant difficulties or expenses, there is undue hardship. However, some employers simply refuse to provide their disabled employees with reasonable accommodation – even if doing so will not result in undue hardship. What can you do if your employer fails to provide you with an accommodation? Without a doubt, you have the right to take action against your employer – especially considering that your rights as an employee are being infringed. Pursue a disability discrimination charge through the Equal Employment Opportunity Commission (EEOC) – a federal employment agency. Pursue a disability discrimination charge through the Department of Fair Employment and Housing (DFEH) – a state employment agency. The EEOC and DFEH are federal and state employment agencies that are ready to investigate your claim and take action against your employer if found necessary. If you would like to learn more about these employment agencies and your right to file charges through them, do not hesitate to seek legal assistance with our experts as soon as possible. As mentioned above, you have the right to take action against your employer through the EEOC and DFEH, but could you sue? Do you have the right to sue your employer if you were denied a reasonable accommodation? You cannot pursue a civil lawsuit against your employer for failing to provide you with an accommodation until after you have been granted the right to sue from the EEOC or DFEH. Employees are granted the right to sue after the employment agencies conclude their investigations or after direct requests. Once you are granted the right to sue by either the EEOC or DFEH, you can file a civil lawsuit against your employer with the assistance of an experienced attorney. If you would like to learn more about your right to file a civil lawsuit, do not hesitate to contact our law firm at your earliest convenience. Depending on the specific details of your claim, you might be eligible to recover compensation. In general, claimants could find that they could recover compensation for some of the following: medical expenses, lost wages, lost benefits, pain/suffering, and punitive damages, for example. If you would like to learn more about the specific type and amount of compensation that you might be eligible to recover if your claim is successful, do not hesitate to contact our law firm as soon as possible. The disability discrimination attorneys at our firm with experience on claims surrounding the failure to accommodate disabled employees are ready to fight for your right to recover the highest amount of compensation available for your claim. To discuss your claim with our attorneys, contact us today. Are you disabled in any way? Has your disability prevented you from being able to perform your duties in the workplace without major difficulties? Did you request that your employer provide you with a reasonable accommodation? Unfortunately, many employers fail to accommodate disabled employees without a valid reason. 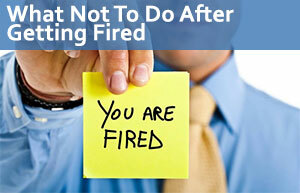 If your employer failed to accommodate you might have grounds to take legal action against your employer. Depending on the details of the situation, you might also have grounds to receive some sort of compensation. For more information about taking action against your employer for failing to provide you with a reasonable accommodation, do not hesitate to contact our law firm as soon as possible. The knowledgeable employment attorneys at California Labor Law Employment Attorneys Group are ready to provide you with all the information that you need to take action against your employer. California Labor Law Employment Attorneys Group is an employment law firm that has dedicated many years to representing disabled employees in the workplace and ensuring that employers are held accountable after infringing the basic rights of disabled employees. What Is Reasonable Accommodation in the Workplace? When you contact our law firm, you will find that we offer both free consultations and free second opinions. During our free consultations and free second opinions, our disability employment attorneys will be available answer all your questions and address all your concerns – ensuring that you receive all the information that you need to take action against your employer after he or she failed to provide you with a reasonable accommodation. Are you interested in beginning your claim? Are you interested in redirecting your claim after it was affected by an incompetent attorney? Regardless of the specific details of your current situation, you could be certain that the lawyers at our firm are ready to provide you with the guidance that you need to take action against your employer. If you would like to schedule a free consultation or a free second opinion, do not hesitate to contact our law firm today. The free consultations and free second opinions mentioned above are available as part of our Zero-Fee guarantee. Our Zero-Fee guarantee ensures that our clients never have to worry about paying any upfront legal fees for any of our legal services. Our law firm is also strictly based on contingency; therefore, our clients will never have to pay anything until after their claims reach successful outcomes. If you would like to learn more about your right to take action against your employer after being denied a reasonable accommodation, do not hesitate to seek legal assistance as soon as possible.